For a more beautiful look!! 1. Eyeshadow : Cream shadow stick contains cool feeling and sparkling eyes. 2. 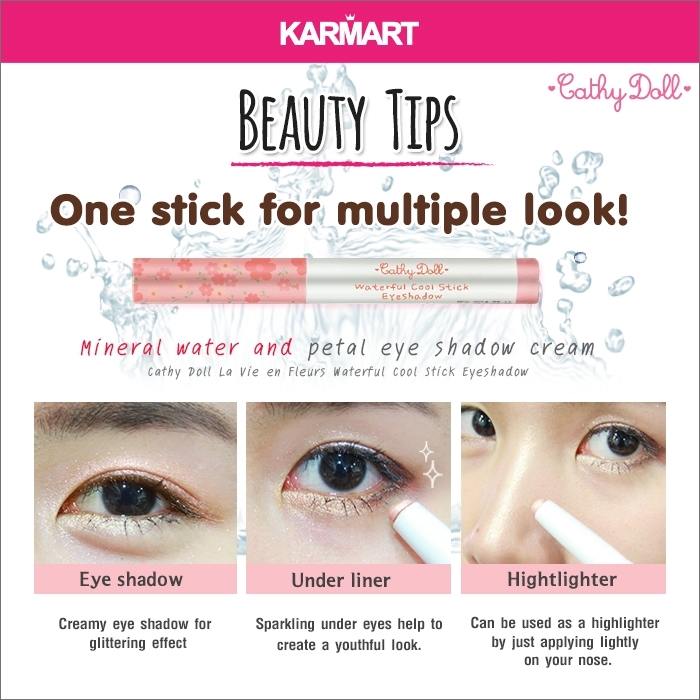 Under Liner : Sparkling under eyes help to create a youthful look and forms little eye bags like Korean dolly eye. 3. Highlighter : Can be used as a highlighter to create a dimensional and radiant look.